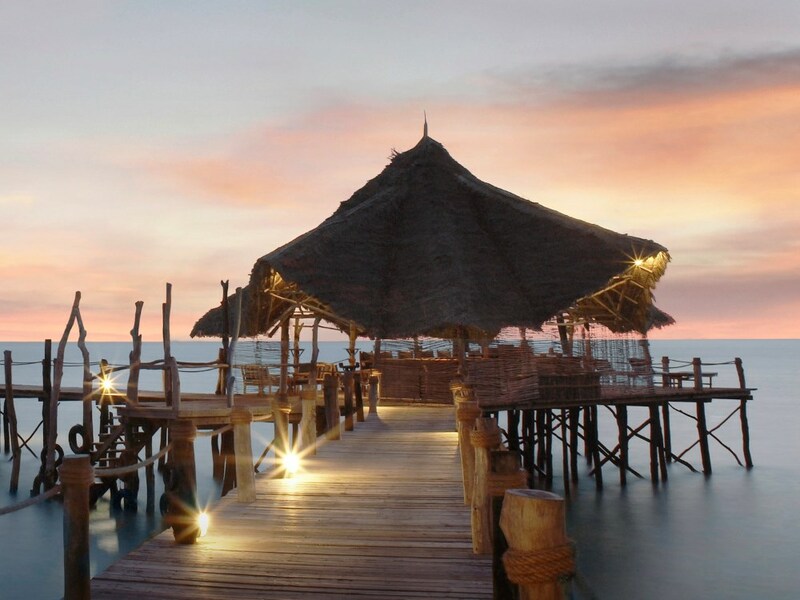 Soak up the magnificent views over the startlingly aquamarine waters of the lagoon in front of the lodge - Manta also boasts one of the most gorgeous swimming beaches in the entire Zanzibar Archipelago! Superb All Inclusive package means that Manta constitutes decent value for money - the free daily massages in particular are a major plus! Great beach bar - this has to be one of the most chilled places to enjoy a cold beer on the planet! Get there before Pemba gets discovered by the masses! you’ll stand in open-mouthed amazement gazing at the magnificent view that stretches before you – it really does feel like you’ve reached the end of the known world! As we walked through the lodge’s lounge area and emerged on the terrace overlooking the blindingly aquamarine waters beyond, we felt like pinching ourselves to check that it wasn’t all just a dream – this really has to be one of the most spectacularly positioned lodges we’ve encountered in our travels! 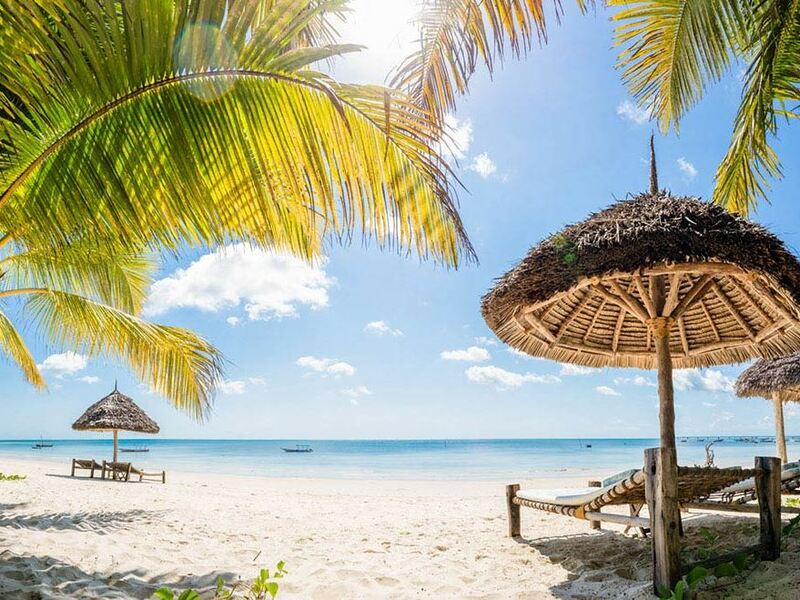 Getting there is half the fun – after landing in Zanzibar you then fly a half-hour hop north to Pemba Island; from there it’s about a 75 minute trip north to the lodge through little villages and rolling farmland and a last (bumpy) stretch through the magnificent Ngezi rain forest. Arriving at the lodge you’ll stand in open-mouthed amazement gazing at the magnificent view that stretches before you – it really does feel like you’ve reached the end of the known world! It’s almost impossible to resist the urge to skip down the steps leading past the swimming pool to the magnificent white sand beach – in all of our travels in Zanzibar this was arguably the best swimming beach we encountered as the crystal clear water is a comfortable depth for swimming just a few metres off the sand. Take a snorkeling mask and reef shoes (there are urchins further out towards the reef) and wander out a little further and you’ll be enchanted by the amount of underwater life you encounter – little outcrops of coral complete with waving anemones and little Nemo’s. 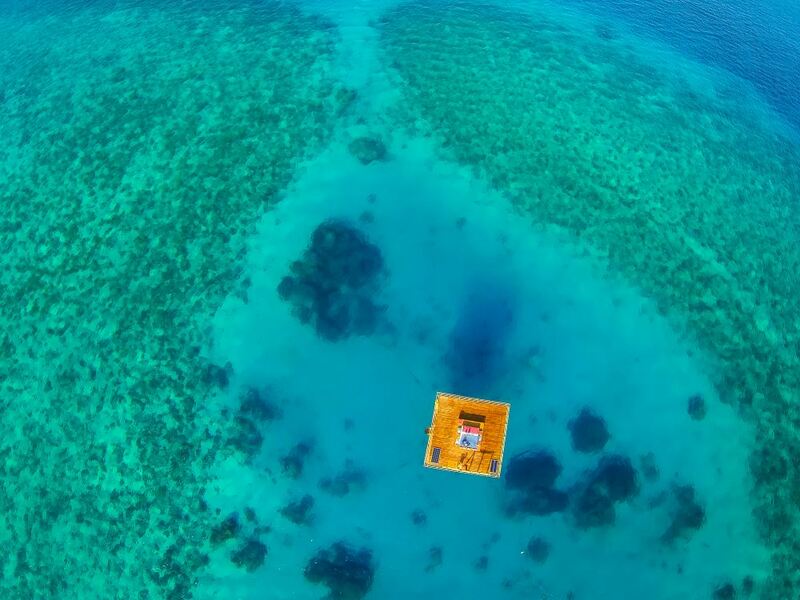 This is the perfect place for young kids to discover the joys of underwater life! Another thing we loved about the beach was seeing the local fishing village’s ngalawas bringing in the catch everyday – tuna aplenty as well as other species like dorado - which makes its way onto your plate a couple of hours later! If you’ve ever encountered fresher seafood let us know! Talking of food, you'll never have dinner 2 nights in a row in the same location - one night it may be by romantic lamp light on the beach, the next on the deck under the stars, perhaps a barbeque around the pool deck the night after that! A great beach bar made of coconut wood gets guests into a really relaxed island vibe if they feel too chilled to take up any of the many activities available – including visits to pristine sandbars (if the tides allow), fantastic scuba diving and snorkeling. There really is little better place to just chill with a good book whilst quaffing an ice-cold Kili than here - remember to try the delicious house speciality cocktail, the Monsoon – beware though as it carries a devilishly deceptive alcoholic punch! The Manta Resort used to be known as “Manta Reef”, and although it always had huge potential, lack of funds and weak management meant that in reality operations were previously a little dodgy. Now though, hugely improved management has meant that the lodge is getting consistently excellent reviews. There are 3 different room types at Manta, none of which make any pretence at being particularly stylish or luxurious – they range from the 10 new simple but comfortable Garden Rooms, through the 4 bigger, older Superior Garden Rooms (still enjoying slight sea views though) to the 6 spacious Sea Front Villas which enjoy a prime position on the brow of the slope overlooking the turquoise lagoon below (these are definitely the best choice for honeymooners) The top 2 room types offer air-con whilst the Garden Rooms make do with fans. But whilst the rooms are simple and rustic, the one aspect however that elevates a stay at Manta into something truly special has to be the lodge's staff - they talk about the "Manta family" and whilst we don't usually have much time for such seemingly clichéd claims, in the case of Manta they really have managed to create a real family atmosphere that always gets remarked upon by our customers. Quite simply, the genuine warmth, friendliness and happiness to go the extra mile for guests is something that has to be experienced to be believed! In fact you're assigned a personal "Service Fundi" on arrival who will look after you for the duration of your stay - for example you can choose where you want to have lunch and your Service Fundi will make it happen! This has to be the best personal service that we've experienced at this price level. One of the major attractions at the Manta Resort is the fantastic scuba diving - not for nothing is Pemba renowned as one of the top scuba diving destinations on the planet! The new pool area also acts as a training venue for novice divers. In fact, there’re a huge amount of activities on offer at Manta Resort - daily excursions to the reefs for divers and snorkellers; the chance to swim and walk on the pristine sandbanks just north of the lodge; state-of-the-art kayaks perfect for exploring the coastline and even doing a bit of fishing; go sailing with the locals on their traditional ngalawas or enjoy walks into the Ngezi rain forest and to the nearby lighthouse – and best of all is that, other than the friendly local villagers, you’ll encounter not another soul or even any other development! But if all this activity gets a bit too much for you, then head to the Kipepeo Spa for a blissful massage or treatment! The great news is that Manta offers one of the best All Inclusive packages around - apart from all meals and local drinks including cocktails, you also get a free Spa treatment per person every day which is a firm favourite amongst the ladies in particular (although we've also had a few male guests who have experienced a massage for the first time and become instant converts!) There are also some exciting excursions available from the lodge at extra cost where you can explore the area's attractions and be exposed to the local culture and way of life - this is really a chance to experience a virtually untouched way of life fast vanishing in most other parts of the world. Previously the lodge was mainly a diving destination – now however it’s a far more rounded and attractive affair. 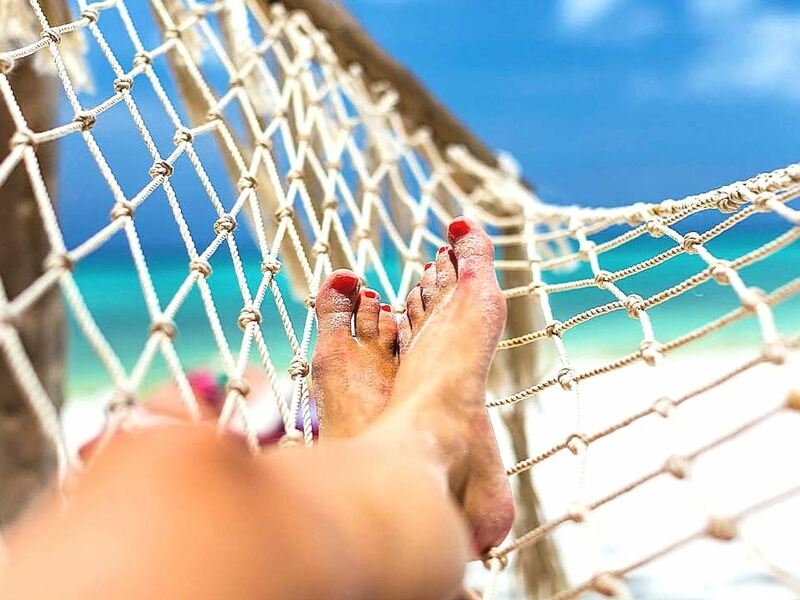 Ordinary travelers looking for a beach holiday in one of the most pristine, unspoiled and uncommercialised environments to be found anywhere now have a great new option – the new and definitely improved Manta Resort!